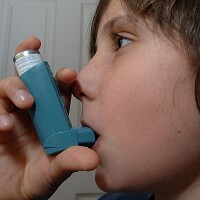 Officials in the county of Fulton in Georgia, USA, have had to take special measures to address the exceptionally high rate of asthma among its residents. According to research by the American Lung Association, nearly one in twelve Fulton residents are currently living with the respiratory disease. Fulton county includes the Georgia state capital city Atlanta, which is a popular tourist destination among Britons holidaying in the USA. The Fulton County Board of Commissioners has ordered local healthcare providers to take action against the huge disparity between rates of asthma throughout the county, with residents in some areas more than five times more likely to die of the illness than people living elsewhere. The planned changes are aimed at tackling issues surrounding the condition, including asthma awareness, as well as improving air quality throughout the county in an attempt to reduce the suffering of those who are already asthmatic. Asthma sufferers must take every precaution when travelling, especially to destinations where air quality is particularly poor. Those with the illness are advised to arrange medical travel insurance before departure.